Details here; review at Berfrois here. 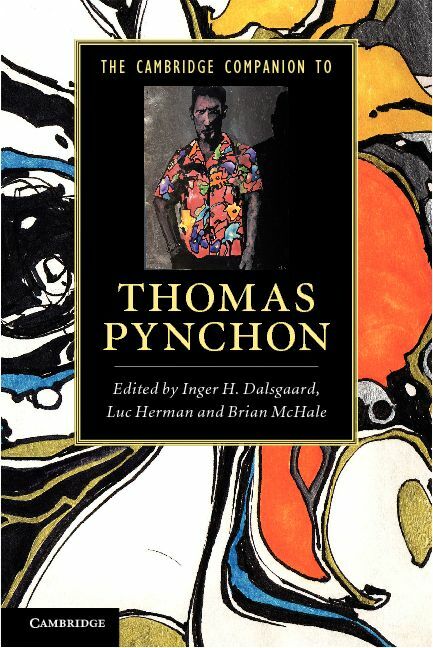 The most celebrated American novelist of the past half-century, an indispensable figure of postmodernism worldwide, Thomas Pynchon notoriously challenges his readers. This Companion provides tools for meeting that challenge. Comprehensive, accessible, lively, up-to-date and reliable, it approaches Pynchon’s fiction from various angles, calling on the expertise of an international roster of scholars at the cutting edge of Pynchon studies. Part I covers Pynchon’s fiction novel-by-novel from the 1960s to the present, including such indisputable classics as The Crying of Lot 49 and Gravity’s Rainbow. Part II zooms out to give a bird’s-eye-view of Pynchon’s novelistic practice across his entire career. Part III surveys major topics of Pynchon’s fiction: history, politics, alterity (‘otherness’) and science and technology. Designed for students, scholars and fans alike, the Companion begins with a biography of the elusive author and ends with a coda on how to read Pynchon and a bibliography for further reading. This entry was posted in Thomas Pynchon. Bookmark the permalink. How did you feel about Against the Day? I liked it’s macrohistorical approach but some of my teachers felt it detracted from the story’s quality. I interpreted it as adding to the fragmented plurality of voices and perspectives to the story but perhaps that’s overdrawing it. Plus the satire of Scarsdale Vibe and robber-baron capitalism was interesting. Thoughts?